Radhika wins an ACS Catalysis Division (CATL) Travel Award. Congratulations! The ACS Catalysis Division (CATL) conferred their travel award to Radhika for attending the 253rd ACS conference held in San Francisco in April 2017. She is one of the 20 students to receive this award. Congratulations!! 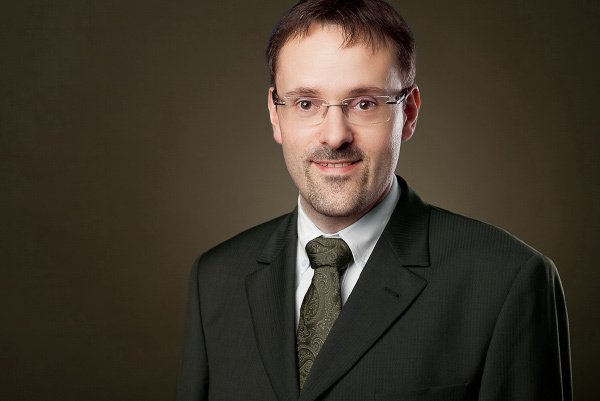 Prof. Tessonnier joins the Early Career Board of the journal ACS Sustainable Chemistry and Engineering. Congratulations! Prof. Tessonnier visits the School of Chemical, Biological and Materials Engineering at the University of Oklahoma and gives the department seminar. Tom and David publish in Applied Catalysis A: General. Congratulations! In collaboration with Prof. Robert Brown’s research group, Tom and David published an article titled “Elucidating the Effect of Desilication on Aluminum-Rich ZSM-5 Zeolite and its Consequences on Biomass Catalytic Fast Pyrolysis” in Applied Catalysis A: General. Michael and Ryan join the group. Welcome! Michael Holmes and Ryan Linnemann join the group as undergraduate researech assistants. Ryan will be co-mentored by Prof. Eric Cochran. Jeremy Morrow joins the group through the CBiRC RET (Research Experience for High School Teachers) program. He will spend 6 weeks in the lab this summer and conduct research on catalysts for hydrogenation reactions. Welcome Jeremy!! John gived a talk on “Integrating metabolic engineering and electrocatalysis for the production of polyamides from sugar” and presents a poster on the “Electrochemical conversion of cis,trans-muconic acid to trans,trans-muconic acid and trans-3-hexenedioic acid for bio-based polymer production”. Prof. Tessonnier visits the department of Chemical and Biochemical Engineering at the University of Iowa and gives the department seminar. Radhika wins the Teaching Excellence Award!!! Congratulations!! Radhika wins the Teaching Excellence award conferred by the Graduate College at ISU for her outstanding achievement in teaching. Radhika presents her research at the Iowa Academy of Science Conference! Radhika presented her research on the “Carbon Support Effects on the Selectivity of Pd/C Catalysts for the Liquid-Phase Hydrogenation of Multifunctional Chemicals” at the 128th Iowa Academy of Science conference in Des Moines. David presented two talks titled “Structure-Activity Correlations for the Catalytic Fast Pyrolysis of Biomass” and “Considerations for Aluminum-Rich ZSM-5 in Moderate to High Temperature Processing” at the 128th Annual Meeting of the Iowa Academy of Science in Des Moines. John wins travel grant to attend the 229th Electrochemical Society (ECS) meeting in San Diego, CA. Congratulations! John receives a $9,000 grant for a student-led research project. Congratulations! 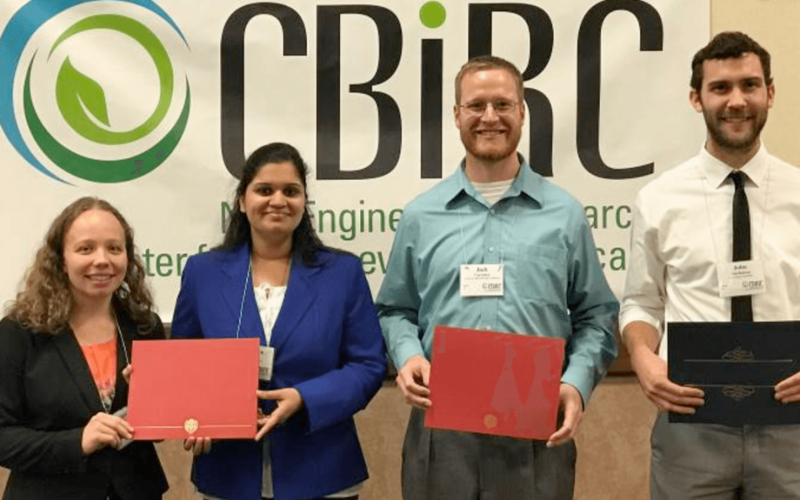 John receives a $9,100 grant from CBiRC’s Technical Leadership Team for a collaborative Student-led Research Project with Miguel Suastegui (Shao group, ISU). Prof. Tessonnier and Radhika present at the 251st ACS National Meeting! Prof. Tessonnier and Radhika gave two oral presentations at the ACS National Meeting held in San Diego this year: “Hydrothermal Stability of Zeolites Under Relevant Biomass Conversion Reaction Conditions “ and “Carbon support effects on liquid-phase hydrogenation reactions”, respectively. The ACS Catalysis Division (CATL) conferred their travel award to Radhika for attending the 251st ACS conference held in San Diego in April 2017. Congratulations!! Radhika receives a Professional Advancement Grant. Congratulations! The Graduate and Professional Student Senate (GPSS) at ISU offered Radhika their Professional Advancement Grant (PAG) for presenting her research at the 251st American Chemical Society conference in San Diego. John publishes in Angewandte Chemie International Edition and his paper is featured on the journal’s front cover. Congratulations!!! John’s paper titled “Combining Metabolic Engineering and Electrocatalysis: Application to the Production of Polyamides from Sugar” is published in Angewandte Chemie International Edition and is featured on the journal’s front cover!!! The work is the result of a collaboration with Prof. Zengyi Shao and Prof. Eric Cochran’s groups at ISU. Prof. Tessonnier and collaborators at ISU publish a paper in Green Chemistry titled “Conversion of Methoxy and Hydroxyl Functionalities of Phenolic Monomers over Zeolites”. Welcome to the team, Sani! Sanaz Abdolmohammadi joins the group as a graduate student. Sani will be working on the electrochemical conversion of biobased intermediates to advanced monomers and their polymerization. She will be co-advised by Prof. Eric Cochran. The Tessonnier group presented research videos developed on our work to students at the Hoover high school in Des Moines, IA. The Tessonnier research group had two talks in Salt Lake City! Prof. Tessonnier and David presented “Catalytic Fast Pyrolysis of Cellulose to Aromatics with Nanocrystalline ZSM-5: Role of Extra-Framework Aluminum” and “Hydrothermal Stability of ZSM-5 in Relevant Biomass Conversion Conditions”, respectively. Well done! Jack and Sarah publish on their outreach work in Journal of Chemical Education. Congratulations! Their paper titled “Kinetics, Reaction Orders, Rate Laws, and Their Relation to Mechanisms: A Hands-On Introduction for High School Students Using Portable Spectrophotometry” appears in J. Chem. Educ. Prof. Tessonnier visits the department of Chemical and Biomolecular Engineering at the University of Delaware and gives the CBE seminar. 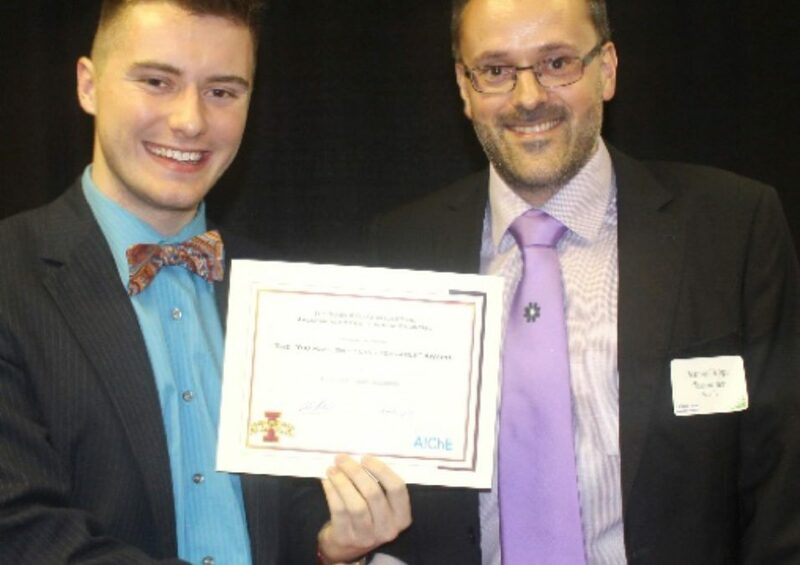 Jack wins the 2nd Prize in CBiRC’s 90-second perfect pitch competition. Congratulations! Caitlyn finished her BS in Chemical Engineering in May and moved to Iowa City to become a Process Engineer with Procter & Gamble. Rebecca Harmon joins the group as an undergraduate research assistant. David Gardner comes back from his co-op with Bemis. Welcome (back)! John and Tom have been selected to attend the 17th International Symposium on Relations Between Homogeneous and Heterogeneous Catalysis (ISHHC 17) and the UNM PIRE summer school that will be held in Utrecht, Netherlands on July 12-16, 2015. They will present two posters on “Electrocatalytic Hydrogenation of Muconic Acid to Bio-based Monomers” and “Thermal Stability of ZSM-5 Zeolite for the Catalytic Fast Pyrolysis of Cellulose to Aromatics” at ISHHC17. Prof. Tessonnier and collaborators of the Fritz Haber Institute publish a paper titled “Characterizing Graphitic Carbon with X-ray Photoelectron Spectroscopy: A Step-by-Step Approach”. The article will appear in ChemCatChem’s special issue on Carbon in the Catalysis Community. David and Tom publish in ACS Catalysis. Congratulations! Their paper titled “Insights into the Hydrothermal Stability of ZSM-5 under Relevant Biomass Conversion Reaction Conditions” appears in ACS Catalysis. The work was performed in collaboration with Prof. Brent Shanks’ group. Jack and John will present on “Selective Base-Catalyzed Isomerization of Glucose to Fructose” and the “Electrocatalytic Conversion of Biologically Produced Muconic Acid to a Bio-based Polymer Precursor”. Tom will present a poster on the “Thermal Stability of ZSM-5 Zeolite under Fast Pyrolysis Conditions”.